Radio has always thrived on book adaptations to provide drama quickly, and in some cases to capitalise on those recent book releases. During the 1950's this was no exception, and the success in 1954 by Australasian Radio Productions in adapting books for radio from successful author Paul Brickhill saw the release of "The Great Escape", "The Dambusters", and "Reach for the Sky". All these books were based on factual stories from the recent Second World War. These series were enormously successful and enjoyed repeated broadcasts over the years to come. "White Coolies" was another related series that set a benchmark in quality factual dramatised radio presentations. The subject of this article, "The White Rabbit" was also an adaptation from a book first published in 1952 "The White Rabbit" by Bruce Marshall about the wartime exploits of F.F.E. Yeo-Thomas, British spy who reorganised the French underground resistance movement in occupied Paris, his eventual capture, torture, and survival to see the end of the war. It has been reported as recently as 2012 in the British Press from the memoirs of author Ian Fleming who much admired Yeo-Thomas, that he was his inspiration for the fictional character James Bond in his books. Reading the story of Yeo-Thomas I can well believe that. Yeo-Thomas - Bruce Stewart/Ray Barrett. Colonel Pasé - Nigel Lovell. Ding Shuler - Harvey Adams. Others in the cast were, Diana Perryman, Ron Whelan, Moray Powell. The White Rabbit - F.F.E. Yeo-Thomas GC. MC. Born 17 June 1902 - Died 26 February 1964. Few spies were hunted so relentlessly by Hitler's Gestapo as the "White Rabbit", a mild-mannered English fashion expert. 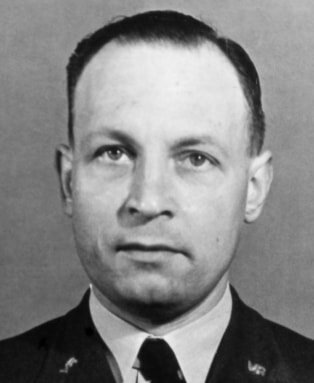 His real name was Wing Commander Forest Frederick Edward Yeo-Thomas, alias Shelly, secret British agent. In occupied Europe the Nazis had him at the top of their fugitive list.... for good reason. Probably more than any other man, Yeo-Thomas organised French resistance to the point where it was a crippling thorn in the Germans side. British Intelligence code named Yeo-Thomas the "White Rabbit" because of his agility in scuttling from one hideout to another in France to evade his pursuers. When the Second World War began Yeo-Thomas was in Paris as a representative to the famous fashion house of Englishman Captain Molyneux. He joined the R.A.F. and when France fell, fled to London to work for Allied Air Intelligence. Free French leader De Gaulle sized up Yeo-Thomas, with his expert knowledge of the French language and temperament as someone who might be able to weld simmering French resistance into a single effective movement. In February, 1943 Yeo-Thomas parachuted into France to find the underground in a chaotic state, disunited by different jealous groups and riddled with Nazi informers. 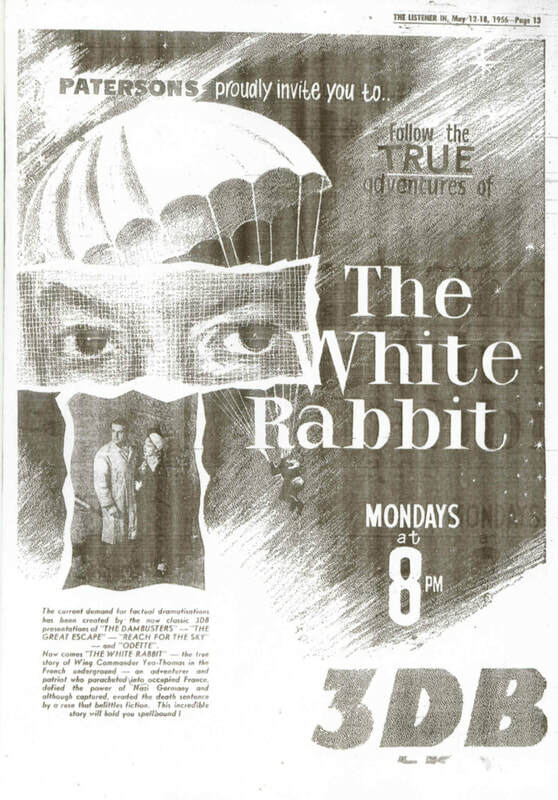 Within a few months, by bullying and bluffing, the "White Rabbit" had set up a central resistance headquarters and established a plan of sabotage. He went back to London but so worried were the Germans by the work of the underground he had set up that they rushed Gestapo men by the thousands into the Paris area and began mass arrests. Again Yeo-Thomas went back to France. But this time the Gestapo knew his identity. Hundreds of agents hunted him, but the "White Rabbit" skipped from one place to another, changing his disguise almost daily. But German brutality and their own lack of arms were causing morale to sag among the French underground fighters. Yeo-Thomas went back to England and sold Churchill on the idea of dropping sufficient weapons, time-bombs and other equipment for the Frenchmen to fight as a formidable fifth column. From this plan was formed the famous Marquis movement, and in February 1944, Yeo-Thomas again returned to France to co-ordinate its activities. Three weeks later a treacherous Marquis man betrayed him. "We have Shelly" screamed the elated Gestapo men as they tossed Yeo-Thomas into a car and smashed his face with their fists. At Gestapo headquarters the torture continued for days, but became more refined. On one occasion Yeo-Thomas fearing he was near breaking point hurled himself out of a top window, but his captors grabbed his legs and hauled him back. Eventually the Gestapo gave up and sent him off to the infamous Fresnes prison in Paris to be shot. Execution time was only an hour off when French friends bribed the local Gestapo boss to forget the "Shelly case" and ship Yeo-Thomas off to Germany as a common criminal. Yeo-Thomas had just crossed the German border in a cattle truck when the Gestapo man's double dealing was discovered , and instead the Englishman was marched into Buchenwald death camp. Again Yeo-Thomas cheated the firing squad. He and two friends contacted two S.S. men who were willing to help the three prisoners escape.... on condition they told the advancing British forces who had helped them. Yeo-Thomas and his friends were given the identity cards of three French slave labourers who had died, and sent to another camp, Gleina, to await their chance at escape. The chance came when the entire camp was marched eastwards into Czechoslovakia for extermination. During a halt to bury dead prisoners, Yeo-Thomas led a mass fight into a nearby wood. For eight days, in rags, chewing on scraps of food, racked by dysentery and his mind wandering, Yeo-Thomas staggered across the plains of Saxony. Picked up by a German Army patrol, he organised yet another escape. Finally, Yeo-Thomas and his companions stumbled across a minefield to reach the American outpost. Churchill awarded him the George Cross, and De Gaulle made him a Knight of the French Legion of Honour. Many of the beautiful women he gowned in post war Paris found it hard to picture this charming reserved Englishman in the role of a daring wartime spy. Presented here is episode 1 of "The White Rabbit"
This article and audio supplied by Craig Nugent. I for one will be reading that book. Thanks also to Bruce Ferrier of Grace Gibson Productions for permission to use to play that audio here.